Now that you have all been practicing the “One-Handed Pie Crust”, you need to make sure you have a good pie pan. 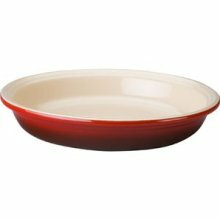 I like the Le Creuset 10” Stoneware Pie Dish – about $35. It comes in three colors – white, red (my choice) and cobalt. 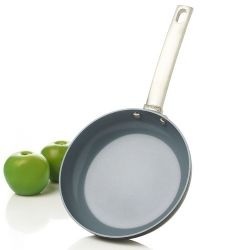 I like this product because it looks great and it can be used in the oven, broiler or microwave. Find it at Amazon, Williams Sonoma, Macy’s and others. 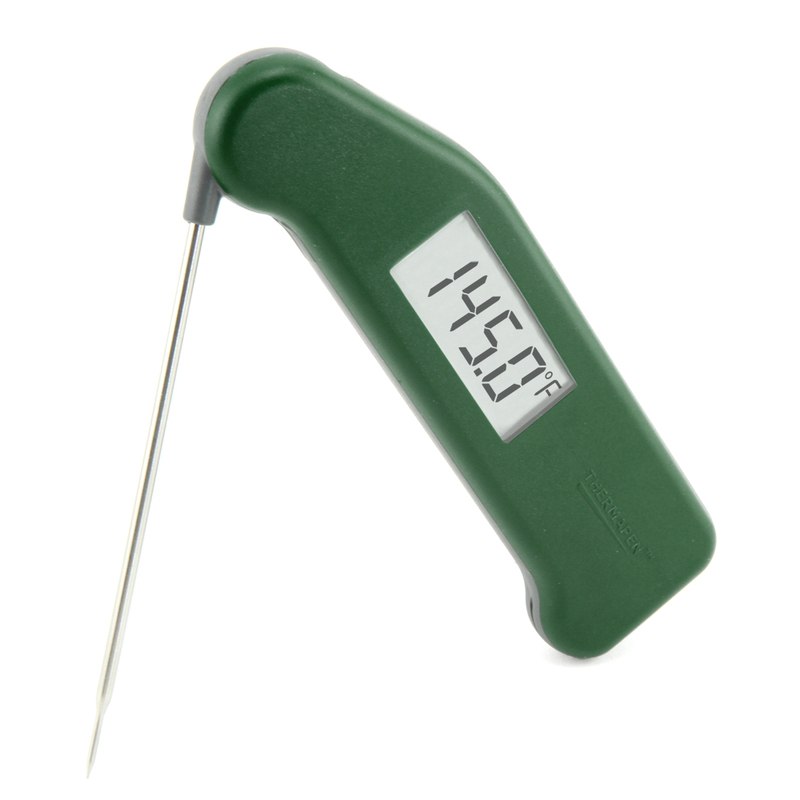 The Thermapen is a wonderful instant read thermometer made in the UK. It is very accurate and is ideal for measuring meat temps, but it will also measure ambient air temperature and the temperature of any liquid or oil (very handy if you are into Tempura dishes or any deep frying). If you tried the Pork Tenderloin with Chinese Five Spice, you could have made good use of this great device. It’s a great addition to the Bravado kitchen, but it isn’t cheap – about $90. In my opinion, it is worth it. Go to www.thermoworks.com/products/thermapen for interesting details or to purchase. You can also find it on Amazon or Williams Sonoma. No, it’s not an instrument that you play – it’s a great device to slice things a uniform thickness. It is especially good for potatoes, carrots, celery and any hard vegetable, even cabbage. I think the best bang for the buck is the Progressive International HGT-11 Folding Mandolin Slicer, which is about $18 on Amazon and Target. 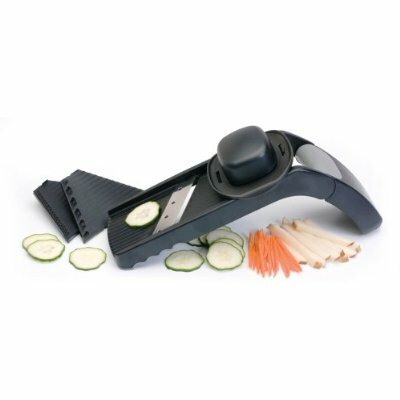 It has separate inserts for thin or thick slices, is easy to use. Whoever you gets this gift will be using it all of the time. Again, this is not a cheap gift – about $80 – but it is bound to make a hit. Clearly one of the best gifts for everyone and very cost effective ($0) is an email subscription to the Bravado Cooking blog. Copy the following link and email it to all of your friends: www.Bravadocooking.com. Tell them to click the button that says “Email Subscription” and join our society. Do this now – Santa will know if you don’t.